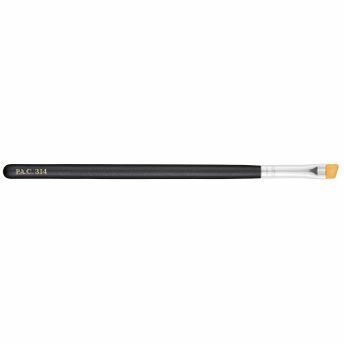 Pac Angled eyeliner brush is crafted to the perfect angle to give the most appropriate application with any eye liner. Expertly designed handle gives comfort and control to avoid mistakes . Use with cream, gel or liquid eyeliner to take your look up a notch.